•COSI Connection: Trial by Jury & HMS Pinafore. Feb. 15: Tickets: eventbrite.ca, or at the door. •Ruddigore – in Concert! Conductor – COSI Connection. February 16th (Calvin Presbyterian, Toronto), Feb. 18th CONCERTSat100, Toronto. Lakefield United Church: Oct. 20th, Lakefield, ON. •Edmonton, Canada. Alberta Provincial Music Festival. •China: Recitals, Master Classes: Sichuan University of Arts & Sciences, Sichuan Conservatory, Xi Hua University. May 14-28. •The Merry Widow – in Concert. The COSI Connection. CONCERTSat100: September 8, Christ Church Deer Park: November 30.
. Artistic Director for the Centre for Opera Studies in Italy. Productions of Puccini’s Don Giovanni (Leslie Dala, conductor, Stuart Barker, Stage Director), Donizetti’s L’Elisir d’amore (Anna Theodosakis, Stage Director, and Nathalie Doucet, conductor), Puccini’s Suor Angelica (James Marvel, stage director and Shannon Hiebert, music director). •China: Master Classes: Sichuan University of Arts & Sciences, Xi Hua University. •Gilbert & Sullivan. Ruddigore, Conductor: Concerts@100, COSI Connection. February 18th. •August 12th-14th, 2016. Voice Adjudicator: National Music Festival of Canada. Edmonton, Alberta. •May 18th, 2016. Artistic Director: Concert Premiere of Lloyd Burritts’s opera, Miracle Flight 571. A co-production of the Centre for Opera Studies and Appreciation (COSA) and the Hamilton Philharmonic Orchestra, William Rowson, conductor. What Next Festival of New Music, Hamilton, ON: Christ’s Church Cathedral. April 5th, 2016, 7:30 pm. CHRISTUS! Music of Bach, Telemann, Salieri, Mendelssohn, Berlioz, Verdi and Elgar. Presented by the Oratorio Ensembles Class of the University of Toronto Faculty of Music, and Mia Bach, pianist. Sponsored by the “Family Music Series” at St. Basil’s Catholic Church, Toronto. John Paul Farahat, Principal Organist and Director of Music. •March 5th, 2016: Orff. Carmina Burana. Fanshawe Chorus London, David Holler, conductor. Dundas Centre United Church, London. 7:30 pm. •February 20th, 2016. Artistic Director: Waltzing in a Winter Wonderland. COSI Connection: Caitlin Wood, soprano, Lyndsay Promane, mezzo-soprano, Bradley Christensen, baritone. Concerts@100. •January 12th, 2016. 12:10 pm. OraSTORYo! An oratorio program presented by the Oratorio Ensembles Class of the University of Toronto Faculty of Music, and Mia Bach, pianist. •December 13, 14, 2015: Handel, Messiah. Tenor Soloist. Peterborough Singers, Syd Birrell, conductor, Ian Sadler, organ. George St. United Church, Peterborough. •December 1st, 2015. Exsultate! Presented by the Graduate Students of the Oratorio Ensembles Class of the University of Toronto Faculty of Music, and Mia Bach, pianist. Sponsored by the “Family Music Series” at St. Basil’s Catholic Church, Toronto. John Paul Farahat, Principal Organist and Director of Music. •Weekends: October and November, 2015: Audition tour and masterclasses for the Centre for Opera Studies in Italy. •September 18th and 20th, 2015. Music Director, Conductor: The Yeomen of the Guard – in Concert. A COSI Connection Production. Concerts@100, Toronto (Sept. 18th), then First-St. Andrew’s United Church, London (Paul Merritt, Director of Music). •July 28-30, 20015. Vanderbilt University, Nashville Tennessee: Annual Meeting and Conference: Advancing Interdisciplinary Research in Singing (AIRS). •August 30-September 4, 2015: Voice Consultant and Teacher: Toronto Children’s Chorus at Appleby College, Oakville, ON. Elise Bradley, Artistic Director. •June 21-July 19, 2015. Artistic Director for the Centre for Opera Studies in Italy. Productions of Mozart’s Così fan tutte (Leslie Dala, conductor, James Marvel, Stage Director), Cavalli’s La Calisto (Timothy Nelson, Music and Stage Director), and Oratorios: Dvorak Mass in D, Mozart Litaniae K 243, Verdi Te Deum (Darryl Edwards, conductor, Shannon Hiebert, chorus master). •May 20, 2015: “Opera Night” at George! Centre for Opera Studies & Appreciation. •May 1, 2, 2015. Artistic Director: World Premiere of Andrew Ager’s opera, Führerbunker. A COSI Connection Production. Michael Albano, Stage Director, Andrew Ager, Composer & Pianist. Costumes: Lisa Magill. Stage Manager: Isolde Pleasants-Faulkner. Tranzac Club. 292 Brunswick Avenue, Toronto, ON. •April 8th, 2015 Et Resurexit! Handel’s La Resurrezione. Presented by the Oratorio Ensembles Class of the University of Toronto Faculty of Music. St. Basil’s Catholic Church, Toronto. John Paul Farahat, Director of Music. •February 28th, 2015, 4:00 pm. Music Director for Borrowed Passions: Settings of the Suffering of Christ. Lenten Twilight Concert Series, Michael Bloss, Artistic Director. Christ’s Church Cathedral, Hamilton. •February 21st, 2015, 7:30 p.m., Music Director for First Love, Lasting Love. “100 Lyndhurst” Concert Series. Andrea Nuñez, soprano; Krisztina Szabo, mezzo-soprano; Tonatiuh Abrego, tenor; Dimitri Katotakis, baritone; Suzy Smith, pianist. Pay what you can. Suggested donation: $50. •February 6th, 2015 (tbc). St. Elizabeth’s H.S., Thornhill. Masterclass & Workshop for Young Singers (classes and students of Romina Di Gasbarro). •January 23, 2015. Claude Watson School for the Arts. Masterclass & Workshop for Young Singers (classes and students of Dr. Timothy Sullivan). •January 8th, 2015. North Toronto Collegiate Institute (classes and students of Carol Woodward). •October-November, 2014. Masterclasses and coordinators: Dalhousie University (Prof. Marcia Swanston), Memorial University of Newfoundland (Prof. Jane Leibel and Prof. Jakub Martinec). Lethbridge University (Prof. Blaine Hendsbee), University of Alberta (Shannon Hiebert, Elizabeth Turnbull, and Prof. John Tessier). These were concurrent with COSI auditions at the above institutions, as well as at: Western University (Prof. Patricia Green), McGill University (Prof. Michael McMahon), The National Opera Center, New York City, and the Canadian Opera Company, Toronto. •September 19th and 21st, 2014. Music Director, Conductor: HMS Pinafore in Concert! A COSI Connection Production. Calvin Presbyterian Church, Toronto (Sept. 19th), then First-St. Andrew’s United Church, London (Paul Merritt, Director of Music). •August 26-31, 2014: Voice Consultant and Voice Teacher, Toronto Children’s Chorus. Appleby College, Oakville, ON. Elise Bradley, Artistic Director. •August 17-23, 2014. Artist in Residence, Federal University of Rio de Janeiro School of Music (Prof. Carol McDavit). June 22-July 21, 2014. Artistic Director for the Centre for Opera studies in Italy. Productions of Puccini’s La Bohème (Leslie Dala, conductor, James Marvel, Stage Director), Monteverdi’s L’Incoronazione di Poppea (Timothy Nelson, Music and Stage Director), and Puccini’s Messa di Gloria (Leslie Dala, conductor, Shannon Hiebert, chorus master). •June 7-11, 2014. Master Classes and Lessons: Vancouver International Song Institute. University of British Columbia. •May 9, 2014. Artistic Director: COSI Connection Double Bill: In Recital: Katherine Whyte, soprano and Steven Philcox, collaborative pianist. Andrew Ager’s opera farce: Casanova. Andrew Ager, pianist. St. James Cathedral Centre, Toronto, ON. •January 19, 2014. Performance with composer and pianist, Jack Behrens, for the Ontario Registered Music Teacher’s Association (Toronto). •September 18, 2013. Recital: Arts and Letters Club, Toronto. Darryl Edwards, tenor, Steven Philcox, piano. •June 8, 2013. Songfire Festival: Vancouver International Song Institute. Poems for Music(Robert Hillyer), by Jack Behrens. Darryl Edwards, tenor, Steven Philcox, Piano. •May 14-15, 2013. COSI’s world premiere of Andrew Ager’s Opera, The Wings of the Dove. Michael Patrick Albano, stage director, Andrew Ager, composer and pianist. Heliconian Hall, 35 Hazelton Avenue. Toronto, 7:30 p.m.
•May 10, 2013. La Bella Notte. COSI Connection. Christ Church, Calgary. Fundraiser organized by Amber Quarrington, COSI’s Marketing and Events C0-ordinator. May 9, 2013. Master Class, St. Elizabeth’s Catholic High School, Thornhill. Michelle Jansen, voice and choir teacher. May 3, 2013. Masterclasses, Canadian Operatic Arts Academy, Western University, London, ON. •April 28, 2013. Gilbert & Sullivan Pops. London Pro Musica and Orchestra London Canada. Vicki St. Pierre, conductor. •April 21, 2013. Benjamin Britten: Saint Nicolas. First-St. Andrew’s United Church, London, ON. 3:00 p.m. Paul Merritt, conductor. •January 10, 2013. The Mikado, with the Concert and Opera Group, U of Toronto’s Vocal Advance! community engagement program, and the choirs of North Toronto Collegiate Institute. Guests: Jackson’s Point Choir Retreat. •Nov. 27, 2012. COSI Auditions and Master Class: University of Manitoba, Winnipeg, MB. •Nov. 25/26, 2012. COSI Auditions and Master Class: University of Alberta, Edmonton, AB. •Nov. 24, 2012. COSI Auditions and Master Classes: Arrata Centre (Calgary Opera Emerging Artists), Mount Royal College Conservatory, AB. •Nov. 9, 2012. COSI Auditions in Montreal: Jeunesses Musicales Building, Montreal, QC. •Nov. 5, 2012. COSI Auditions and Master Class in Halifax, N.S. •Nov. 3, 2012. COSI Auditions and Master Class in St. John’s, N.L. •Saturday, Oct. 20, 2012: COSI Auditions in London, Ontario. •August 24, 2012: Masterclass – Singers from the cast of Anne of Green Gables, and with participants of the Advancement of Interdisciplinary Research in Singing. Charlottetown, Prince Edwards Island. •August 23, 2012. In Recital: Department of Music, University of Prince Edward Island, Charlottetown. •June 10, 2012: Vancouver International Song Institute. World premiere of Image-Nation for tenor, horn and piano, based on the poetry of Robin Blaser. Composed by Lloyd Burritt. 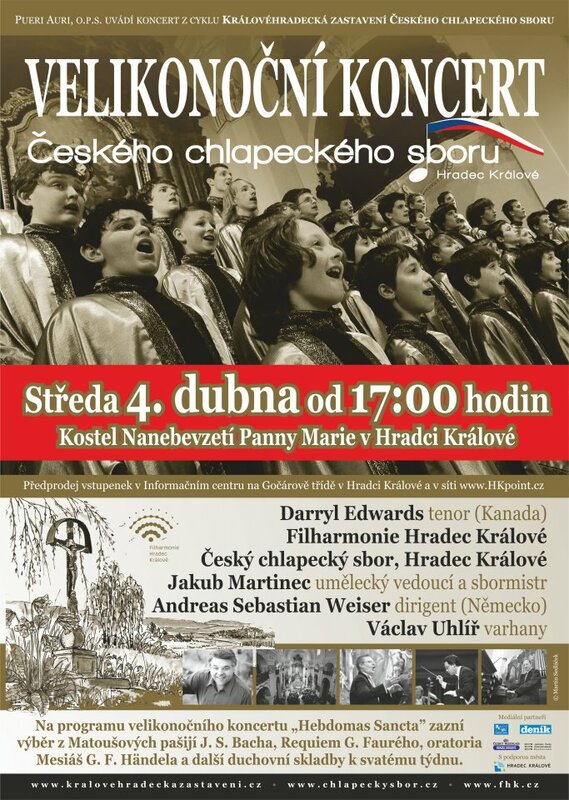 •April 4, 2012, Easter Concert: Czech Boys Choir and Filharmonie Hradec Králové, Czech Republic: Excerpts from Bach’s St. Matthew Passion and Handel’s Messiah. •March 5, 2012: Masterclass with singers at the Amsterdam Opera Studio. •November 13th, 2011. Beethoven Symphony No. 9. Symphony on the Bay, Masterworks of Oakville Chorus. Burlington Performing Arts Centre. 7:30 p.m.
November 5th, 2011: Master Class with singers from the Marcel A. Desautel School of Music (Eva Clare Hall, 2-4 pm), University of Manitoba, Winnipeg. November 6th, 2011: Master Class with singers from Calgary Opera Emerging Artists program, Arrata Opera Centre, Calgary. December 2nd, 2011: Master Class with singers from Memorial University School of Music (in PC Hall from 2:00-4:00 p.m.), St. John’s.